Benz’s mass commuter MPV that once stood with the tag of cheapest Mercedes-Benz one can buy in India, taken over by A-Class later on, is now launched with a facelift for a new inning. The big party of this car remains under its hood, with a 2.1-litre jagged-up diesel engine producing 134bhp as against the 107bhp in the older version. The petrol remains same as it used to be with 1.6-litre unit of 121bhp. Reportedly, this is the same MPV made the first debut at Paris Motor show, is now launched in India for a starting price of Rs 27.95 lakh ex-showroom Mumbai. Referring to the cosmetic changes made, MPV hosts new LED headlamps, front bumper and grille. Turning at the rear, fresh set of tail lamps bags major part of the attention, and some chrome on the lower bumpers makes to think of the twin-exhausts. Inside the cabin, premium factors get enhanced with regards to the steering-wheel covered in leather from the new C-Class, new 7-inch screen for the new COMAND system and brand new instrument cluster. 2014 Mercedes Benz B-Class Electric Drive features premium interior, powerful electric motor for emission-free mobility and dynamic design. This allows for effortless, lively driving pleasure over a real-world range of 85 miles. Besides, the B-Class ED is digitally networked; with its connectivity, it can be conveniently configured and checked through the internet. As the Mercedes-Benz among electric vehicles, it sets clear standards in terms of quality, safety and comfort for up to five passengers. 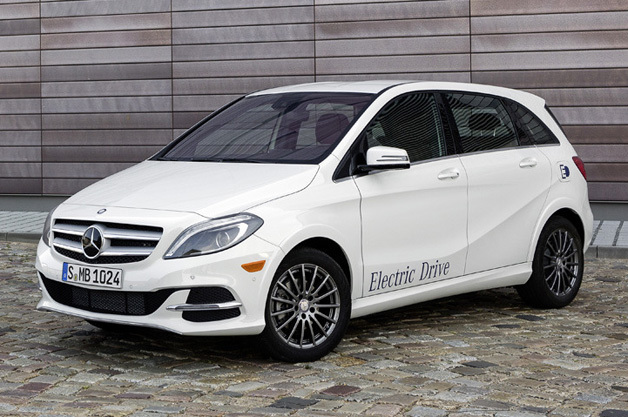 The B-Class Electric Drive, bearing the unmistakable 3-pointed star trademark, will be first introduced in the US market in the summer of 2014. 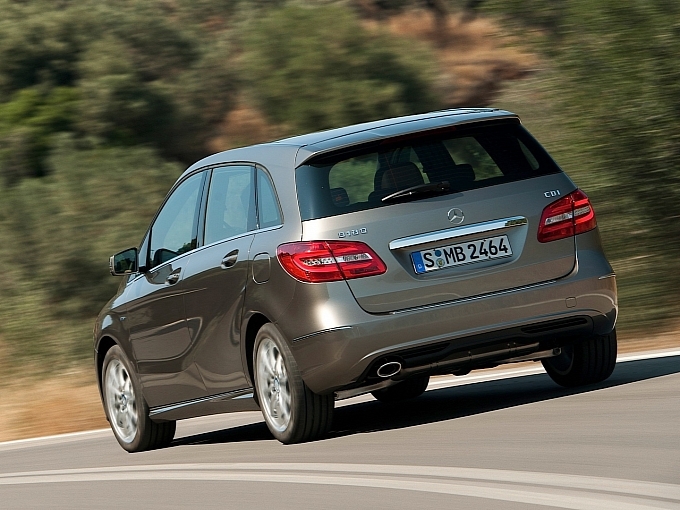 The 2014 Mercedes Benz B-Class surprises with a particularly dynamic driving experience. It offers noticeably powerful acceleration, while gliding along quietly. It also offers the driver and up to four passengers the familiar high standards of ride comfort in a spacious, precision-designed and high-class interior. The B-Class Electric Drive combines dynamic driving pleasure with zero local emissions – in short: it delivers electric driving at premium level. The B-Class Electric Drive is based on the traditionally powered B-Class, for which the current-gen has become a bestseller since being introduced in 2011 in many countries. Since the introduction of first B-Class version in 2005, the automaker has seen customers taking delivery of over one million of these vehicles. As an especially versatile vehicle concept, with its groundbreaking electric drive, the B-Class now allows extra environmental friendly capabilities to Mercedes norms. Motivation for the B-Class comes from an electric motor, which is good for pumping out 177 horsepower with 251 pound feet of torque. This is approximately equivalent to the torque from a modern 3.0-liter gasoline powerplant. It accelerates from 0 to 60 mph in 7.9 seconds. Exhilarating driving pleasure and effortless drivability with a high level of comfort are thus guaranteed in every situation. The power supply to the electric drive is delivered though high-performance lithium-ion battery that’s safely and compactly housed in the “Energy Space” in the underfloor of the vehicle. In the interests of optimizing range, the top speed is electronically limited to 100 mph. Depending on driving cycle; the vehicle has a range of 85 miles. This permits emission-free driving not just on short journeys and in city traffic, but also over longer distances. The B-Class ED can be charged from any standard domestic power socket. For a range of 60 miles, the charging time at 240V in the United States is less than 2 hours. Aesthetic appeal combined with refined sportiness – the 2014 Mercedes Benz B-Class features the dynamic and self-assured styling so typical of Mercedes with finely crafted details and powerfully defined lines. The rear and front sections express the width of the vehicle. This is ensured by the prominent, wide grille and wraparound headlamps into the sides, in addition to, two-piece taillights, large tailgate with deep sill and by the wide rear window. A dynamic look is created by striking bumpers with bar-shaped LED DRLs (daytime running lamps) and door-sill panels. The charge socket is inconspicuously installed behind the traditional fuel door. The interior highlights the high standards of comfort typical of Mercedes-Benz. Finely textured surfaces, high-grade materials, precision workmanship and classy touches make it clear that Mercedes style electric drive is defined by high standards. The three large round center air vents with their distinctively styled cruciform nozzles add a sporty flair, which contributes to the overall emotive design idiom of the interior. Positioned above the air vents and seemingly free-floating is the screen for the telematics system – a state-of-the-art eye-catcher in the cockpit. In terms of communication and information systems, the B-Class provides levels of functionality and comfort, which is customary of any MB. The standard equipment package includes twin tuner, MP3-Page 4 compatible CD player, USB port and a head unit with 5.8 in (14.7 cm) color display. The Becker MAP PILOT is a standard navigation system, whereas the COMAND multimedia system with navigation, LINGUATRONIC voice control and internet access is also optionally available. 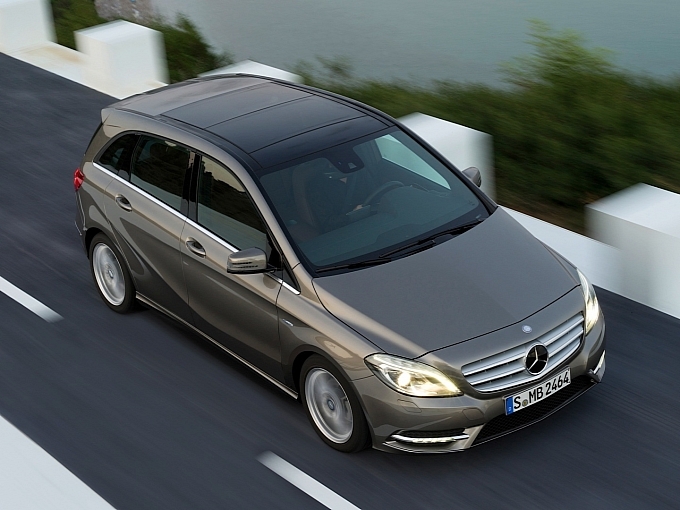 Thanks to its modern technology, the 2014 Mercedes Benz B-Class ED isn’t just agile and sustainable, but also connected. For example, the Vehicle Homepage enables convenient remote configuration and remote interaction of the vehicle. The driver can use their Smartphone or PC to conveniently access the vehicle through the internet. It’s possible, for example, to determine the current state of charge of the lithium-ion battery or show the vehicle’s current range on a map. 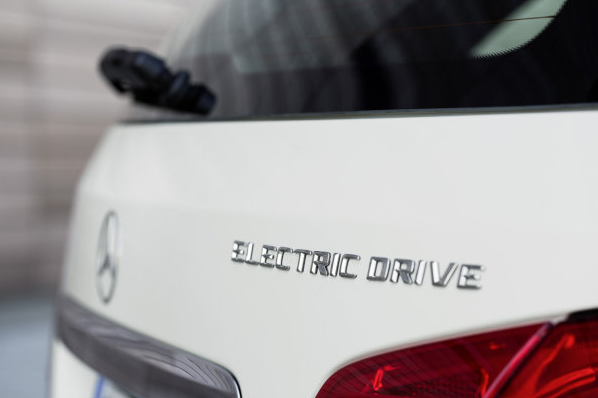 Mercedes-Benz applies its familiar, high safety standards to the B-Class Electric Drive. Thanks to the innovative “Energy Space”, the battery is safely accommodated in the underfloor of the vehicle, where it is ensured protection in the event of a crash. In addition, Mercedes Benz has equipped this pioneering electric car with the radar-based collision warning system COLLISION PREVENTION ASSIST with adaptive Brake Assist as standard. 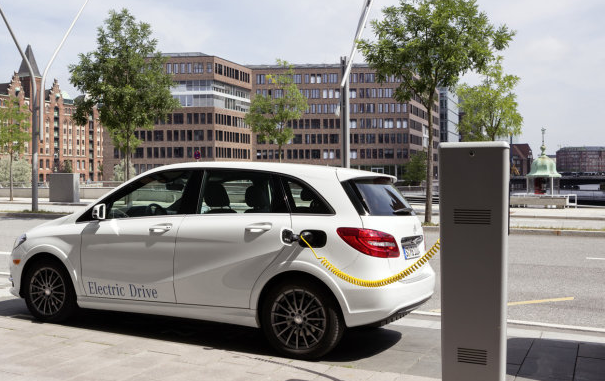 Locally emission-free electric vehicles such as the all-new B-Class Electric Drive are a key part of Mercedes-Benz’s strategy for sustainable mobility. The Stuttgart-based premium automaker is asserting its claim to leadership in this segment with electric vehicles, which are completely suitable for everyday use. 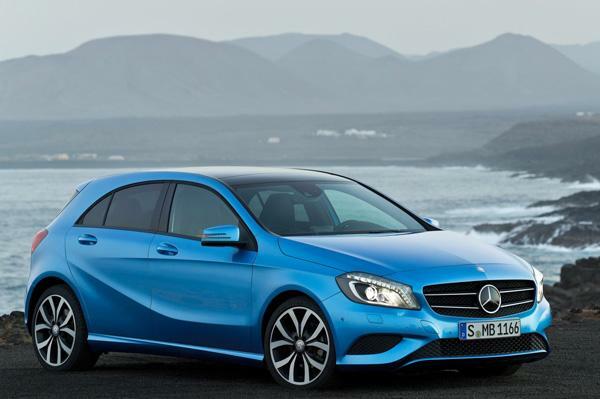 Mercedes Benz aims to reinforce its position in future, not least with the new B-Class Electric Drive, which will be available initially in the USA as of mid of 2014, before subsequently being introduced to European markets. 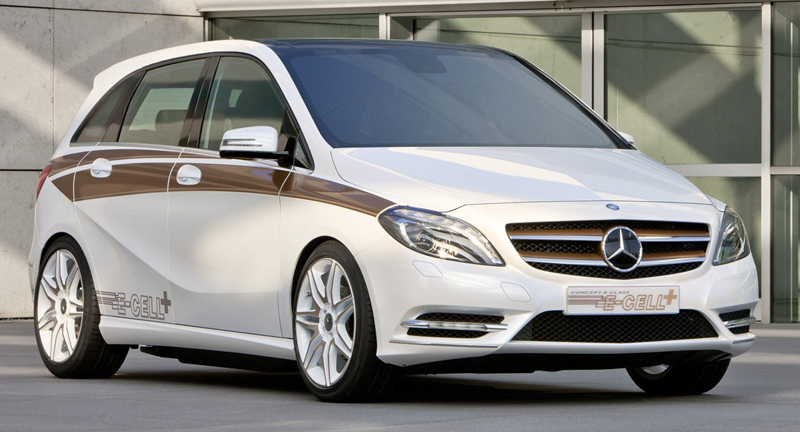 The 2014 Mercedes Benz B-Class Electric Drive will start at $42,375. Sales will begin this July, being offered for now just in the following 10 states: Connecticut, California, Maryland, Maine, New Jersey, Massachusetts, Oregon, New York, Vermont and Rhode Island. Mercedes-Benz is expected to announce expanded availability sometime in 2015. The Mercedes Benz B-Class had been first launched in the year 2005. The company has managed to deliver over 1 million cars to its customers worldwide with respect to its B-Class specifically. The car is seen to have done exceptionally well in the German market and still seems to hold the same pattern of growing demands. The B-Class has lived up to the expectations of the company in the compact MPV segment by being the market leader for a considerable period of time. It was seen that around thirty percent of the customers who have now bought the B-Class, earlier used to drive cars of a different brand. Germany has turned out to show the best response for Mercedes Benz. 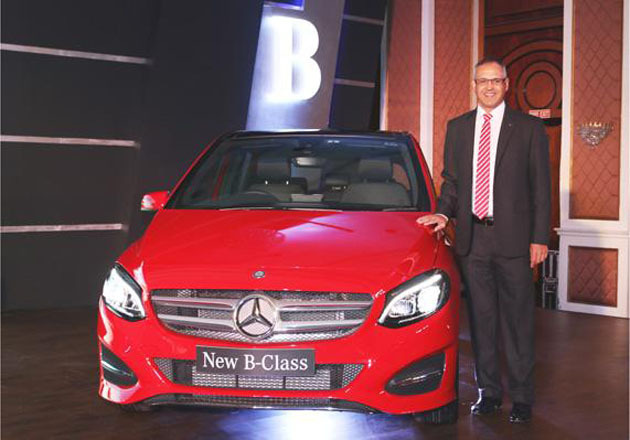 China is the second biggest market for the B-Class as per the statistics of the company. The car is a unique combination of driving dynamics, sporty design and unparallel comfort. The car has become popular as a result of these features being integrated in a single car. 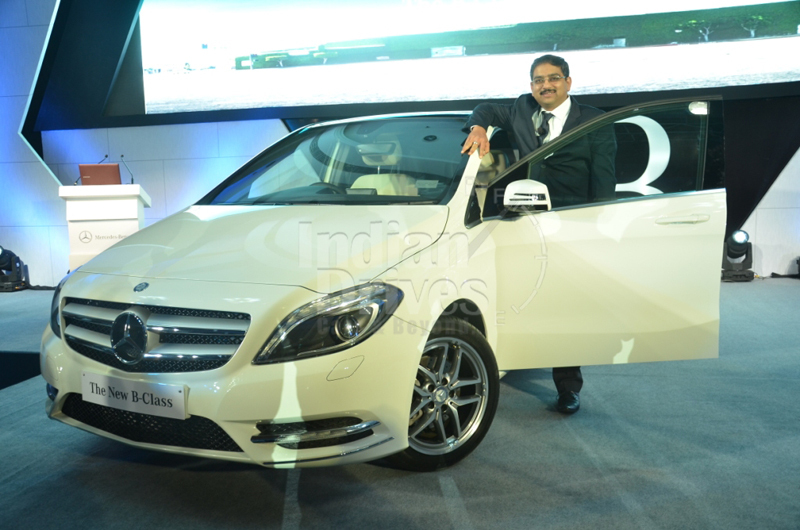 One of the most surprising facts for the company has been that the B-Class has attracted customers of different categories varying from children, senior citizens to even families. The car is available with the option of both diesel and petrol engines. The 2.2-litre diesel engine produces a power of up to 107bhp with a maximum torque of 230Nm. While on the other hand, the 1.6-litre petrol engine is capable of producing a power of up to 120bhp and maximum torque of 200Nm. 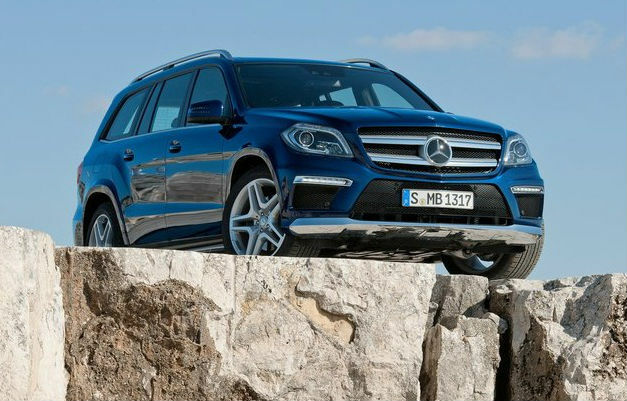 Mercedes Benz is expected to launch two alternatives of the car by 2014. The B-Class, 200 Gas Drive, which is available in Europe, is car which is cost effective as well as fuel-efficient to run. 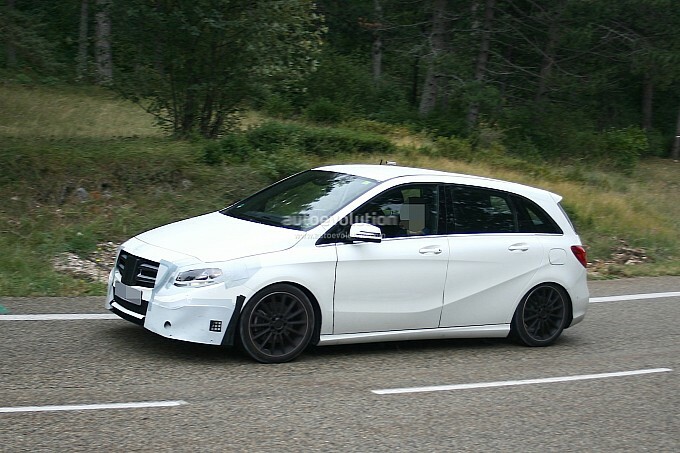 Mercedes Benz B Class is been there in the market only for the past two years. But its good-luck charm seems to be more aggressive than others in the repertoire. Hopefully, only a couple of years in the market, now the spy-shots appeared on internet claiming a facelift version lying there in the near future. However, it can be said that the facelift will be only a cosmetic change, but there are reports in the industry which claims technicalities will also be tweaked. 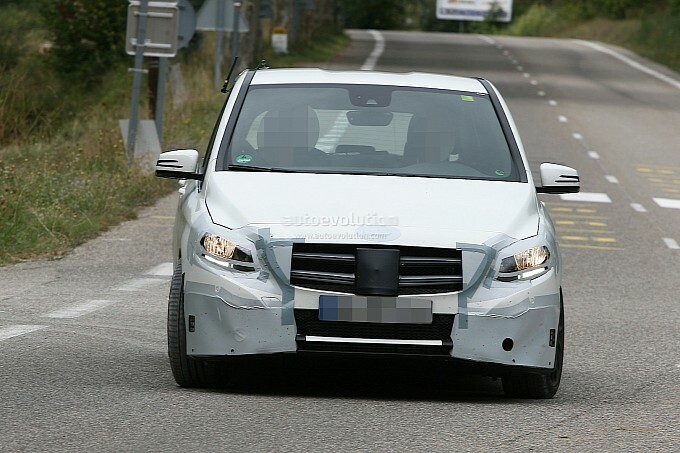 Hence, as per to that report, we speculate the spotted test mule to be an AMG version of the B Class, where Mercedes thinks like down-the-line segment may shall also get a chance to drive the sportiness on their day to day route. The wide-flaired air dam on the front and blackened alloys like cues, seem to reclining like more towards the AMG version. Hopefully, one can say that the spied vehicle can also be facelift, but looking out there in the outer market scenario it can be suggested that Merc is keen focusing the small cars of the segment for now, as they are returning the major chunk of sales. And too in the coming times, where the downturn of economy is awaited, the said section of the repertoire will be comparatively doing well than others. Not only is the Mercedes Benz, BMW X1 also spied in the facelift avatar recently, as it too was rolled out just some years before. Well, only the time will tell what there had been stored for us in the future. 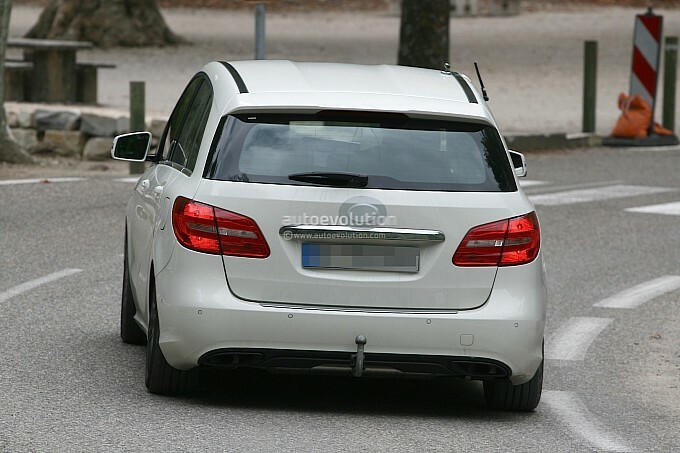 But not so disappointingly the B Class AMG may hit the floor before the facelift could, as what we expect. “May” is the month to expect something more of the adrenaline rush just after a fresh start of the new financial year, and this time it is going to get better than before, because the German moniker is expected to launch some of the big deals this month, that it was vying for so long on Indian shores. Listed below are the lost of expected bespoken model plates which are expected to launch in May 2013. GL Class is the luxury bug underneath the sophisticated coverings; with ample of power to outdo anything that falls underneath its pieces of rubber. It is learnt, the German carmaker is also running a promotional campaign on internet that will give audience a chance to meet the international tennis star Boris Becker, who is personally going to unveil the newbie on 16th May 2013 at Delhi. Sources from the industry also said, new GL Class will be having daytime running LED, which is now common trend on luxury bugs, Bang Olufsen music system, electronically controlled steering wheel etc, and moreover also taking lot of cues from M Class. A Class is said to be the cheapest Merc in Indian when it will launch here, and would also set the different sort of standards for luxury horizon. Claiming itself to be the hatchback, it will boast options of 1.6L petrol and 1.8L diesel on India spec badge, being assimilated with 7 speed dual clutch automatic gearbox as a standard fitment. Right now, this German brand did not have any of the compact SUV in its kitty, but we hope this particular model plate to work in that similar way as those BMW’s and Audi’s compact rugged vehicle, due to the lot of Mercedes diehards in India. Launch slated on 30th May 2013, it will follow the CBU route in initial stage, then might be taken on CKD way to Chakan production facility in Pune at further stages. Alongside the A, B Class diesel will also be standing proudly, as was lacking in the segment for a long time. Thought one can say, the petrol variant of B Class hadn’t yielded those expected results in spite of being competitively priced, but a lot of expectations goes with oil burners, as it is the fastest catching trend in India. The same 30th May 2013 will too be its launching date. Ashok Leyland was doing very well in the HCV segment but we think no automaker is completed unless and until it rolls out itself in the field of passenger vehicles, and the same case is here too with the this automaker. 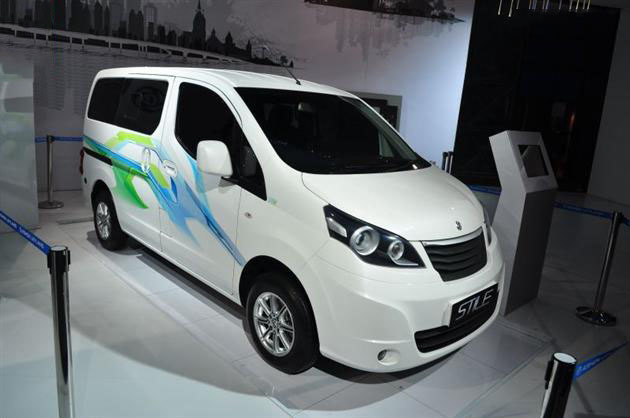 Unveiled at the Delhi Auto Expo 2012, Stile caught attention of the automotive media due to its MPV avatar and the powerful 1.5L 3-cylinder common rail diesel, assimilated with the 5 speed manual gearbox for swift shifting. As also learnt, the initial lot will be most probably chalked out with the petrol-CNG trim, and then later on followed by the oil burners. It has a lot of space inside and expected to blow out Nissan Evalia, Toyota Innova, Mahindra Xylo, Maruti Ertiga and many others in this segment. A passenger carrier version will also be made available at the later stage. The king of all the models of Mercedes Benz is soon to arrive. 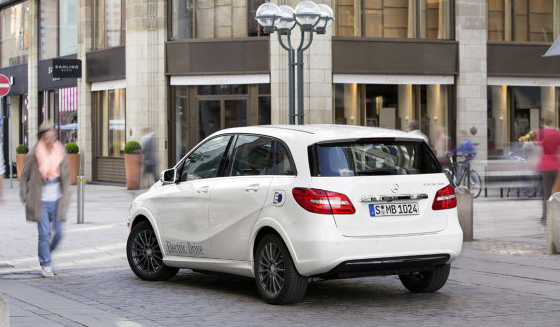 Introducing Mercedes Benz B class electrical by 2014 in US, this battery-powered B class model will use an electric motor and battery packs. Also there are many such other components supplied by the most popular Tesla, the electric car company, which could be integrated into the system. Dailmer and Tesla have been associated since the period of introduction of Smart ForTwo, Dailmer being the parent company of the giant car manufacturer. They supplied the powertrain for the same. This was announced in the Frankfurt auto show with a 5-door gas-powered version being on sale too. It should not come as a surprise to learn the fact that Dailmer has a massive 4.7% stake in Tesla. The king of cars Mercedes Benz has the best of all ranges which they sport and introduce swankily. 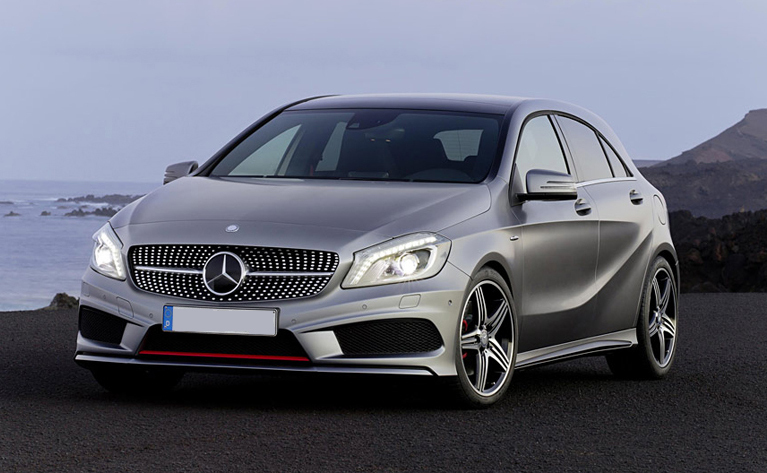 The Benz B class Electrical is one of those wonderful things this German car firm has come up with. There were also talks about it coming up with a hybrid B class. The range extenders are received less response as compared to the zero emission ones. People should specifically watch out for the front drive layouts.